It’s a busy busy time! 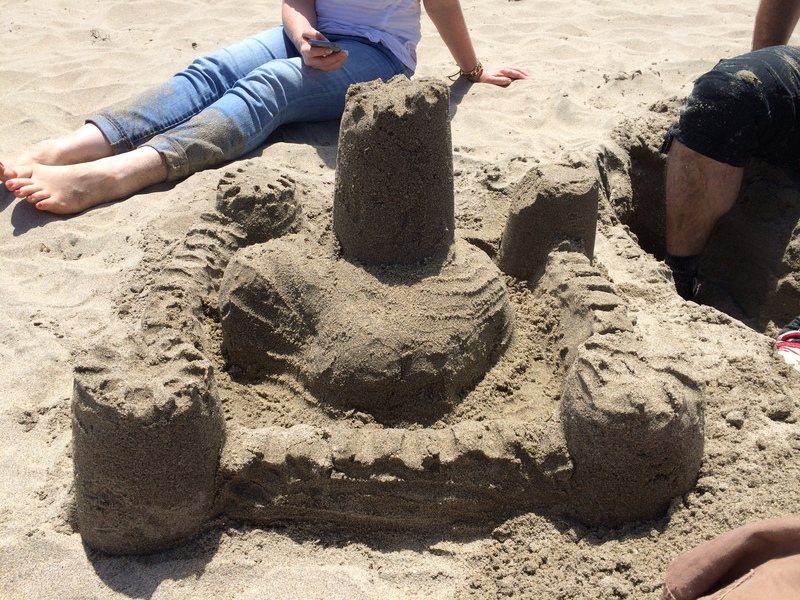 But not all work and no play, this past weekend we went to Santa Cruz, went on some rides, played in the amusement arcade, and built a sandcastle. Winterfell it ain’t. But we did only have one small bucket, and a really flimsy mini spade. However, we manage to win a whole bunch of tickets in the arcade and traded them in for a full set of tools and buckets and moulds! We’re going to read up on all the professional tips for castle building too, and next time our castle will be awesome! And have a moat. Obviously. Ack! 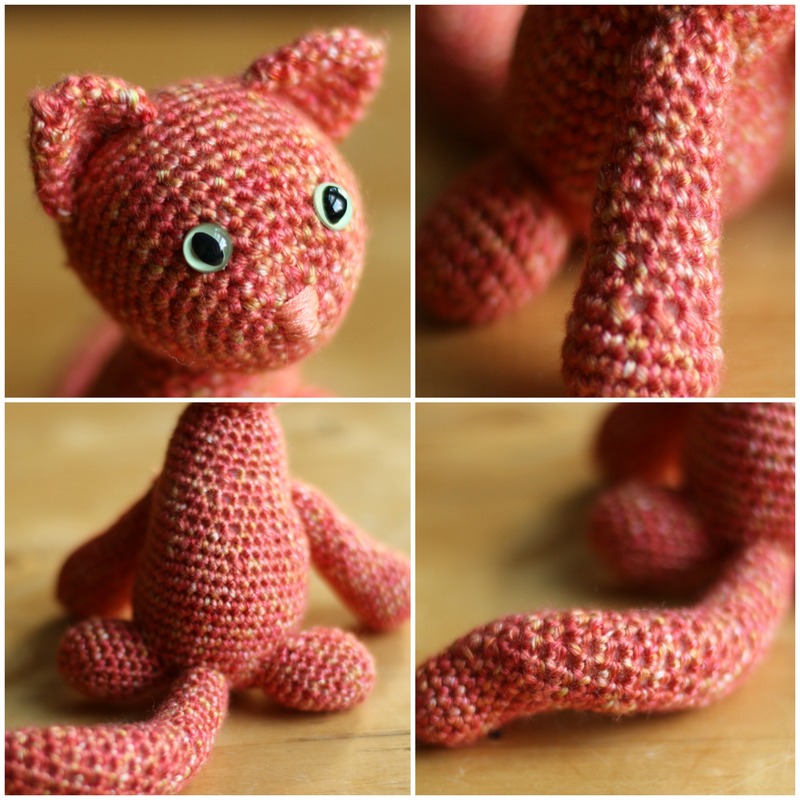 So anyway this is another little project from the Crochet 101 One-Skein Wonders book. I have been calling it mutant cat. Crocheting all the pieces was really straightforward, and I even properly taught myself how to do the magic ring technique for starting off! Woo! Get me! It has some kinda crazy little mini back legs! I can’t remember what brand of yarn it was, but I really liked it! Next time I go to the store I will have a look see if I can spot it and update accordingly, or perhaps I will find the tag! 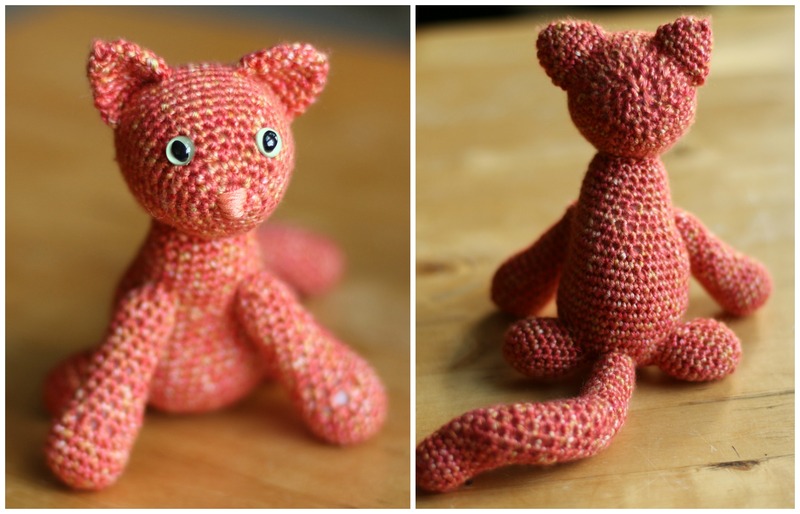 I love the colour, it was really easy to work with, and soft too. I think it was an acrylic. It seemed to pass muster. 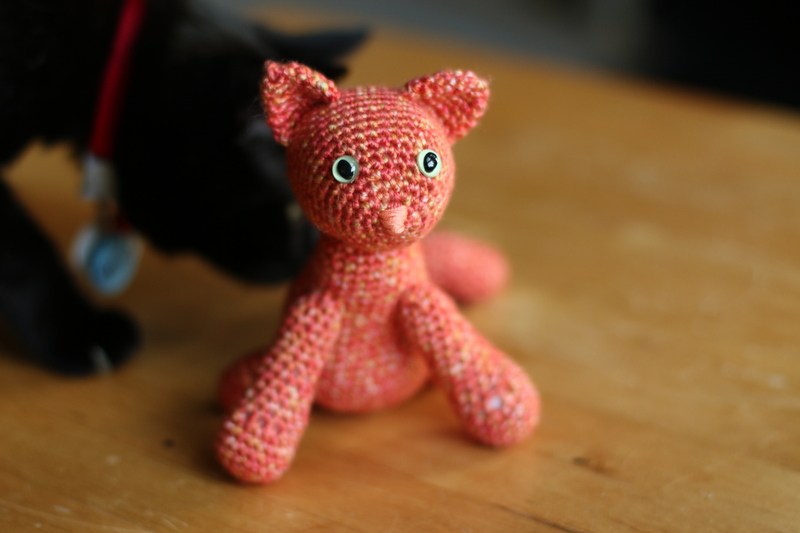 My friend Maria looked after our cats while we were away a couple of days the other week for my birthday, and this is a project I had in mind for her daughter. Whenever they come round she points at our cats and says “Miaow”, then tries to give them love. I’m not sure they know quite what to make of a tiny human, but sometimes they oblige. Now she has a little one of her very own!